Employees who are regularly scheduled to work at least 20 hours are eligible for the following benefits, except as noted below. 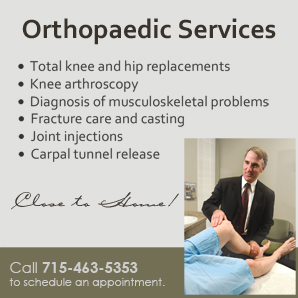 Additional benefits, not listed below, are provided for Nurse Practitioners, Physician Assistants, Physicians, Pharmacists, and Directors. Please contact Human Resources for details. All employees who work at least 40 hours per pay period are eligible for this benefit. New employees start with a zero balance but will begin accruing immediately. Employees may use PTO hours anytime after they have been accrued. The amount of PTO hours employees accrue will be based upon the number of hours worked, the employee's years of service and their status. PTO hours include vacation time, holidays (see below), and sick time. Casual and part-time (less than .9) employees are paid double pay up to 8 hours if they work on any of the following holidays: New Years, Labor Day, Memorial Day, Thanksgiving Day, Fourth of July, and time and a half for the extended holiday hours for Christmas. If a regular full-time employee works the holiday, the employee will be paid straight time for the holiday. In addition, the employee may request to be paid up to 8 hours of PTO. Health insurance through an HSA or traditional plan is offered to employees with premiums based on the employee's FTE. It is also available to family members of the employee at the employee's expense. Along with the insurance, employees also have an HSA option with an HSA plan. A Health Savings Account is a tax-advantaged account that, in conjunction with a qualified medical plan, allows you to pay medical expenses on a pre-tax basis. BMC offers group dental insurance. Premiums may be paid through payroll deduction with pretax dollars. You may utilize any licensed dental provider you choose under this plan. BMC offers group vision insurance. Premiums may be paid through payroll deduction with pretax dollars. You may elect full service (includes eye exam) or materials only. 100% paid by BMC. BMC's group life insurance benefit covers employees in the amount equal to 1 x their annual earnings. Optional low cost group life insurance provides up to $300,000 in coverage for employees as well as various levels of coverage for spouse and children. Payments can be made through payroll deduction. Burnett Medical Center encourages employees in their attempts to improve their own job efficiency. If an employee is requested to attend work-related training seminars or if the employee requests attendance at a training seminar and that request is granted by their manager, the facility will pay any tuition/registration fees for the employee. In addition, the expenses such as travel and/or accommodations may be reimbursed, depending upon the circumstances. Additionally, full time employees who have completed length of service eligibility requirements may be eligible for tuition reimbursement up to a maximum of $2,000 to further their education in a job-related program. Part time benefit eligible employees are entitled to this benefit on a pro-rata basis. 100% paid by BMC. This program will pay an employee who is determined by a physician to be unable to work due to an illness, maternity, surgery, or trauma, 70% of the their base wage for up to a maximum of 13 weeks. This benefit begins after the third day of absence due to an illness or from the first day of an injury. BMC offers employees the opportunity to purchase group long-term disability income thru payroll deductions. Employees have the option of choosing the amount of monthly income from $500 - $5000 in $100 units of coverage, not to exceed 60% of your salary in a two or five year plan. Immunizations and influenza vaccines required by BMC are available at no cost to the employee. Burnett Medical Center offers ALL employees a tax deferred savings plan - 403(b) that is designed to encourage employees to plan for their future and employees can begin participating immediately. Any interested employee may choose to contribute a part of their wages to a tax-sheltered annuity. Taxes are deferred on invested income as long as the money remains in the plan. 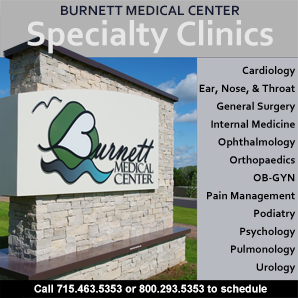 Burnett Medical Center will waive a portion of health insurance deductibles for employees, spouses or dependents using this facility for their health care needs provided they have a non-HSA health insurance plan. Burnett Medical Center will waive the following for inpatient or outpatient hospital and clinic services provided by BMC providers: a maximum of $300 for a single person, a maximum of $600 for an employee plus one (spouse or 1 dependent child), a maximum of $900 for family (employee/spouse/dependents or employee/2 or more dependents). The maximum waiver stated above may be used by one person or a combination of family members. These amounts are available annually. Other benefits include Direct Deposit, Funeral Pay, Jury Duty Pay, Legal Insurance, Social Events, and Years of Service Awards Dinner.